At Sell Us Your Bike, we buy motorcycles from all over the United States! A state in particular that we love buying motorcycles from is Texas. Being a Texas motorcycle buyer, we promise that we’ll give you the best offer on your bike. Ranging from ATV’s to cruisers, we buy motorcycles throughout the entire state of Texas. Sell Us Your Bike takes new and even gently used bikes and in return, you receive fast cash! We are experts when it comes to knowing motorcycles. We understand how hard it can be to give up such a valuable item but if it’s just sitting there collecting dust, why not sell it to one of the best motorcycle buyers in the state of Texas? We are even willing to pick it up at a location of your choice! e will make sure that you receive the best value on your motorcycle. Because we are the premiere motorcycle buyers in Texas, it’s pretty hard to beat our top dollar offers. 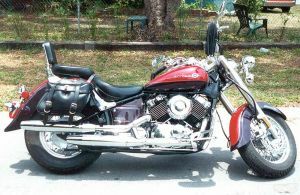 Are you thinking about selling your Harley Davidson in Texas? Fill out our free online quote form. Sell Us Your Bike is loyal to their customers and guarantee that we won’t let you down. Contact us now to get your cash in a flash!